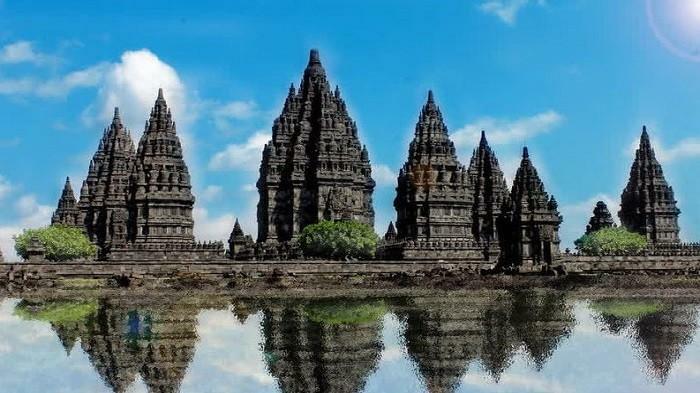 YOGYAKARTA or JOGJA is the main tour destination of the island of Java in Indonesia. This booklet provides you with information on tour destinations, hotels, restaurants, and other tourism related services to help you visit Yogyakarta / Jogja. 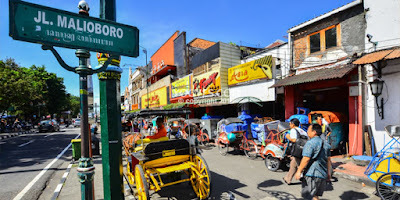 Yogyakarta (some people call it Jogja, Jogjakarta, or Yogya) is a city with outstanding historical and cultural heritage. Yogyakarta was the centre of the Mataram Dynasty (1575-1640), and until now the kraton (the sultan’s palace) exists in its real functions. 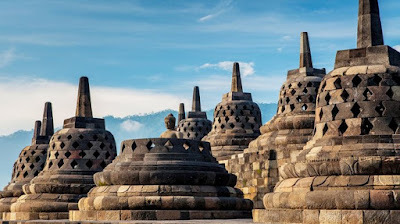 Also, Yogyakarta has numerous thousand-year-old temples as inheritances of the great ancient kingdoms, such as Borobudur temple established in the ninth century by the dynasty of Syailendra. More than the cultural heritages, Yogyakarta has beautiful natural panorama. The green rice fields cover the suburban areas with a background of the Merapi Mountain. The natural beaches can be easily found to the south of Yogyakarta. Here the society lives in peace and has typical Javanese hospitality. Just try to go around the city by bike, pedicab, or horse cart; and you will find sincere smiles and warm greeting in every corner of the city. An artistic atmosphere is deeply felt in Yogyakarta. 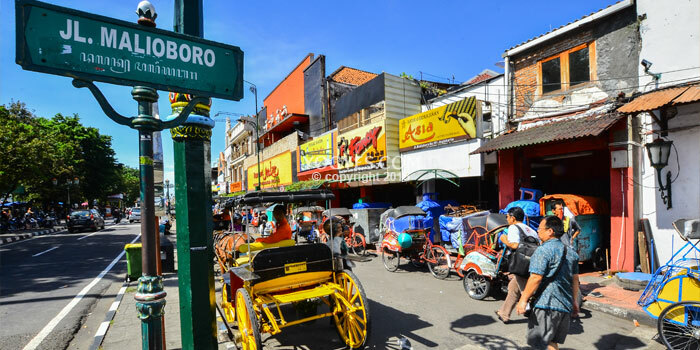 Malioboro, as the center of Yogyakarta, is overwhelmed by handicraft from all around the city. Street musicians always ready entertain the visitors of the lesehan food stalls. Those who have visited Yogyakarta reveal that this city makes them long for it. Just visit here, then you will understand what this means. The Indonesian Ocean borders the Southern part of Yogyakarta. The borderline of the seashore stretches from West to East of which the length is around 100 km, started from Congot Beach in Kulon Progo Regency and ended at Sadeng Beach in Gunung Kidul Regency. Because of its location, Yogyakarta is strategically positioned for the economic activity network in Java as well as for the tourist destination area. The special region of Yogyakarta lies midway on the axis of several main tourist destination areas, Jakarta and West Java westward. Central Java northward, East Java and Bali eastward. It is linked by regular rail, road and air services to other parts of Indonesian archipelago. 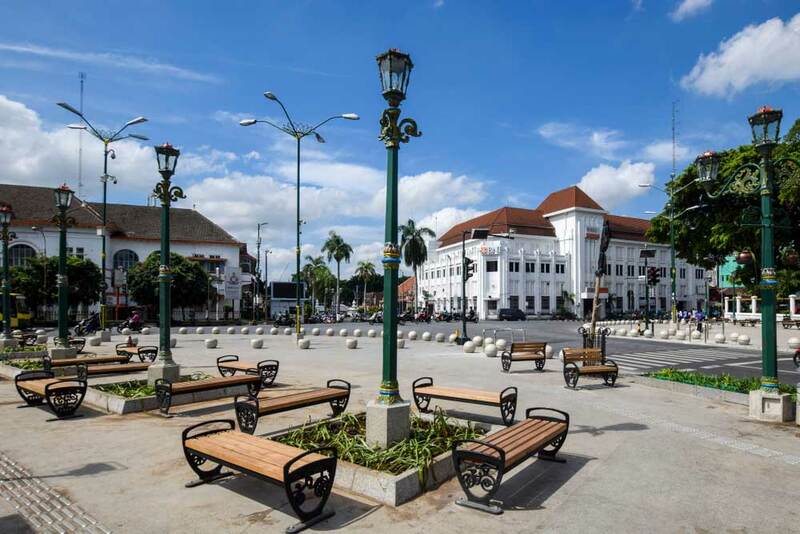 The number of population of Yogyakarta Province is more less 3,5 million people and the average density is estimated to be 980,69 persons per square kilometer. The most heavily populated district in the region is in Yogyakarta Municipality that has 461,800 inhabitants spread over 32,50 kilometers or the average population density is thus over 14,200 persons per square kilometer. The least densely populated districts is in Gunung Kidul regency which has 720.643 inhabitants and cover 1,485 square kilometers or the density rate is 485 persons per square kilometer. Since a very long time ago the Provincial territory of Yogyakarta Special Region and its surrounding has been decently populated. The Merapi Volcano in the northern part has always erupted its volcanic materials and therefore its surrounding area has been fertile land and thus densely populated. It has been widely known that some realms have ever. Local Time and Business Hours; Jogja is on Western Indonesia Time: GMT +7 hours. Shops and markets are opened between 9 a.m. until 9-10 p.m. most local restaurants starting from 7 a.m. 10-11 p.m. The office hours starting from 8 a.m. for Monday to Thursday and 8 a.m until 12 p.m for Friday. Prior to visiting Yogyakarta, there are some important things to notice. First, have your cash and credit card ready since most sellers prefer to use such payment method in every transaction, but please beware of the pickpockets here, especially when you use public transportation. Please ask staff or your teacher if you do not know where and how to go shopping or buy basic items. Bringing warm clothes is not necessary for visitors who only want to enjoy walking around the city under the shining sun. The sun shines during the day with an average temperature of 30-32 degrees Celsius. However, if you like going hiking or tracking to the highlands (Dieng or Merapi mountains), just prepare your equipment and make sure that you bring what you need for the colder conditions there especially on July to August. Please use only your right hand when passing or receiving objects or shaking hands with other people. We understand that it may be difficult for left-handed people, however, doing such things with your left hand can be considered rude or underestimating the person you are dealing with. Never put your hand on your hip or waist while you are talking to someone. People will assume you are an arrogant or defiant person and are inviting a confrontation. Never put your feet on a table or chair or use one of them to point toward someone. People deem it rude and uncivilized. Feet should not be exposed higher than any other body parts. Use “polite” dresses. Especially for woman. For your own sake and avoid any harassment do not use too open dress when you going alone. Yogyanese are well known as indirect people. They will not express their disagree or un like openly. If they do not like something they will try to let you know in a gentle way or gesture. Alcohol is not drunk by most ordinary people here. Drinking any alcoholic beverages is strictly prohibited for the Muslims. However, if you need to drink alcoholic drinks, you may go to some international hotels or restaurants nearby. Basically you may drink as much as you want but please do not get drunk in public places. Going alone after 10PM for woman is not recommended even though Yogya is considering as one of the most safety city in Indonesia. Bad people are everywhere in the world and Yogya is not an exception. Especially when people think that you have a lot of money. Customs allow on entry a maximum of one litter alcoholic beverages, 200 cigarettes or 50 cigars or 100 grams of tobacco and reasonable amount of perfume. An airport tax Rp. 100.000 for international flight and Rp. 25.000 for the domestic flight. Started from February 2004, visa free policy applied to 11 Asian countries and visa on arrival privileged for 21 other countries. Electricity: 230 volts AC, 50Hz. Indonesia current are 50Hz at either 110 or 220 volts, mostly 220 volts, using a two sponged plug. It is advisable to ask check before using an appliance. 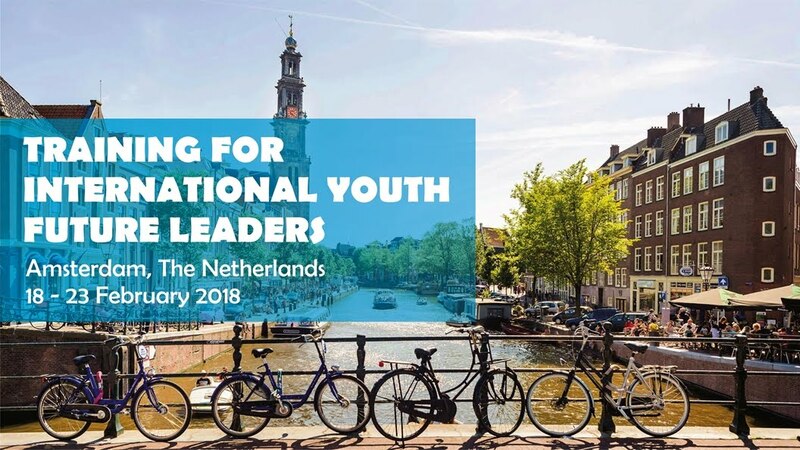 International Youth Friendship Camp is organized by ASEAN Youth Friendship Network.